The Local Hero Award is presented each year to a present or former resident of the San Juan Islands who has made outstanding contributions to our quality of life, impacting people, animals, the arts, or the environment. Thirteen-year-old Dylan D’Haeze, a resident of Orcas, reminds us that being a local hero does not have an age restriction. If you care about the planet and everything that lives within it, and have the courage to share this message with the world, powerful things can happen. What began as a seemingly simple quest — to know more about plastic and its impact on the environment — has thrust this young and thoughtful first-time filmmaker into a leadership role. Dylan continues to ask poignant and important questions, but he is now going far beyond satisfying his own curiosity to actively encouraging others to take action. Dylan’s documentary, Plastic is Forever, will be featured at this year’s Friday Harbor Film Festival. It contains a powerful message about the necessity of reducing our dependence on plastic. Since the film was released, Dylan has been sharing his message across the country at various film festivals, schools and environmentally-based community events. The film has already received multiple awards, including the Environmental Award from the prestigious International Ocean Film Festival in San Francisco, Best Children’s Film at the International Wildlife Film Festival, and Awards of Merit in both the Nature / Environment / Wildlife and Young Filmmaker categories at the Best of Shorts Film Festival. 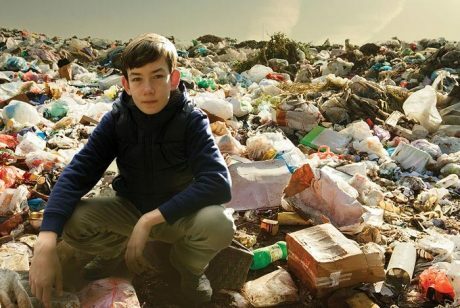 Plastic is Forever has also become part of a growing series, How Kids Can Change the Planet. For more information about this project, visit www.kidscansavetheplanet.com. Dylan and his parents, Dawn and Kevin D’Haeze, will be attending November’s film festival here, and have agreed to participate in our Young Filmmakers Project by helping to mentor other aspiring filmmakers who have important messages to share and stories to tell. We believe that when kids like Dylan show initiative, and are positive and purposeful in their approach, they will accomplish wonderful things. Thank you, Dylan, for being our Local Hero. Your spirit and actions inspire all of us, and we cannot wait to see where your next quest leads!